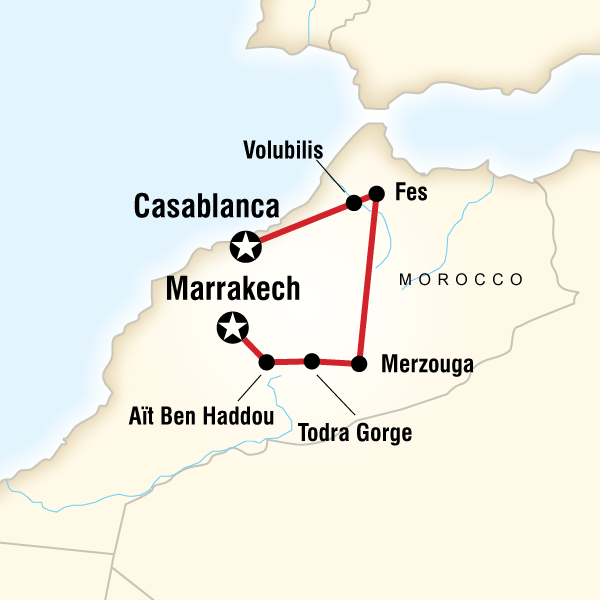 Join me on this fast paced trip to see Morocco's must-see highlights! Perfect for travelers looking for a fast-paced trip, this short but sweet adventure offers up a great combination of Morocco’s must-see highlights and a little free time to explore on your own. 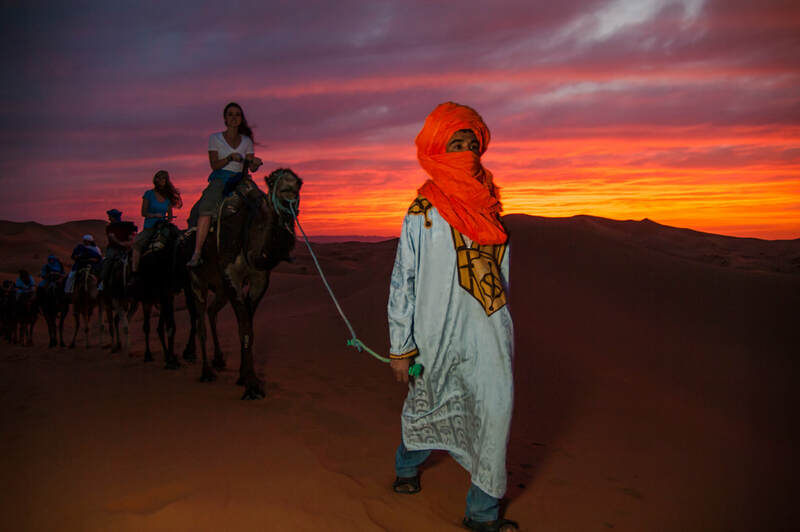 Take to a camel to tour the dunes before really experiencing the Sahara on an overnight camping excursion. Explore high-walled kasbahs and wander the labyrinthine alleys of Fès and Marrakech. Discover the history and rugged natural beauty of mysterious Morocco. See another side of this amazing country and see it in a small group - there will be no more than 14 people on this trip! Enjoy a traditional lunch. Take a guided tour of the ancient Roman ruins of Volubilis before continuing on to Fès. The Fès medina is the world’s largest living medieval medina and a UNESCO site. Explore the artisan quarters, sample treats from the carts, and view Fès' famous leather tannery from above. In late afternoon, set off by camel to a desert camp deep in the dunes. Learn to tie a turban to keep the desert sun off your face and add a little flare to your photos. Rise early to get on our trusty camels. Watch the sunrise before returning to Merzouga. May 24 - Ait Ben Haddou/Marrakech Head to Marrakech and take a guided medina visit. Opt to visit the Djemaa el Fna Square in the evening to see the gathering of musicians and street performers. Don't leave without indulging in a feast at the famous food stalls. Land-only pricing based on double occupancy is $949 per person. Traveling solo? We can match you with a roommate for no additional charge. Or if you prefer to have your own room, there are a limited number available.